Membership numbers have slowly grown over the past year. Most meetings see a number of new members welcomed. Exact numbers will be reported in October when membership payments usually complete. The Chamber has relied on attracting members through its actions and word of mouth rather than a membership drive program. The website has recently been simplified and now highlights News and Facebook feed in our attempt to better communicate Chamber activities. Facebook also has had some recent attention. Members are encouraged to contribute to issues and conversations via Facebook. Combined Chamber President meetings have occurred where common issues were discussed. Our Chamber proposed and organised the recent inaugural Chamber President and Councillor lunch. With positive response from some Councilors we hope these continue. Of particular importance to Chambers is the idea of strengthening the institution through collaboration with ESC (Eurobodalla Shire Council) via an ESC Business Advisory Group which will include the 5 Chambers. This would allow issues to be worked through various Chambers and provide more considered input. There have been various activities contributing to the local economy including high rates of approvals. There are many new developments on the horizon such as the new Batemans Bay Bridge, Mackay Park Development, Shellfish Hatchery and tourism accommodation investment. Batemans Bay has never seen such infrastructure investment in the past, over $600M in the pipeline. Business has anecdotally reported mixed outcomes for the past financial year. Tourism accommodation providers contributing over 20% of the five bedroom and above accommodation in the Shire have reported static results or growth commensurate with CPI and annual fluctuations. Results from all businesses which have refurbished or transformed have been positive. Age Dependency Ratio: Rate at 557 out of 563 Shires in Australia. Various talks with ESC around the definition of major regional hub status and expected services and facilities have occurred. Talks with Batemans Bay medical practitioner’s and Southern Health occurred. It is understood that the local doctors have been responsible for an improved look at Batemans Bay Hospital’s role in a key population and regional hub context — especially emergency services. The executive has discussed Batemans Bay’s regional hub status with each level of Government. Talks with RMS and ESC continue, with a current emphasis on scheduling to mitigate effects on Batemans Bay business. Funding put forward by Local member Mr Andrew Constance of $26M has been a great boost to enable the development of this much needed community facility, the chamber looks forward to the possibility of being able to assist in the community consultation process. Chamber continues to advocate to ESC and each level of government on this proposal. It is understand that ESC is continuing to pursue its feasibility. Thank you to ESC for sharing information and Charles Stuart for liaising with each level of Government. While Chamber supports all accommodation platforms it advocates for a level playing field. 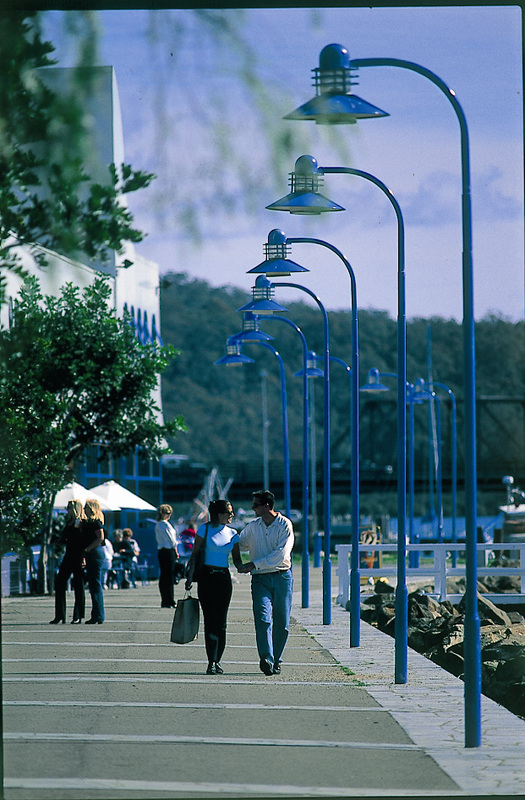 Regulation has been somewhat addressed by NSW Government with adopted changes in the CBD of Sydney, though, we believe a local approach may be necessary depending on NSW outcomes and future accommodation developments in Batemans Bay. Council’s Community Centre and Hall sustainability. In a recent ESC and Chamber executive meeting we were informed that Council would improve existing venues facilities and equipment, then monitor their use before any decision of rationalization. Chamber continues to advocates for arts and community infrastructure including a regional gallery, regional museum, youth entertainment infrastructure and coordinated regional food experience. A proposal on behalf of local business people and the Historical Society was made to the Mayor and Councilors to purchase the Old Bowling Club site for the same price ESC paid. The group anticipated taking advantage of current NSW dollar for dollar infrastructure funding to provide a regional gallery, regional museum, bowling alley and other entertainment. Discussion was not forthcoming. This development by ESC is a most welcomed opportunity for the Shire’s economy and our local oyster industry. Council is to be congratulated on seizing the opportunity. We hope for a speedy commencement for the supply of spat. Start Up, Accelerators and Incubators. Infrastructure for young people and professionals is essential for employment, to curb the exit of youth and balance the age dependency ratio and community demographic. We have seen relocation of some members, young professional families for economic reasons which focuses the need for more advocacy for appropriate infrastructure and services to attract and maintain this important demographic. The Chamber continues to advocate with Council’s Tourism unit, and commends the Tourism unit’s current signage strategy process, re-branding of the Shire process, slated events strategy process and the commencement of achieving relevant data to assist strategy and industry particularly in the off season. A company (Jim Jam) recently commenced stakeholder discussions regarding branding where a number of members attended. Feedback was that it was very refreshing that a bold company was engaged which could acknowledge industry issues over past branding and campaign shortcomings. The current DMP (Destination Management Plan) has strong Council commitment to its endorsement and implementation. Chamber has been informed that a communication strategy will then be rolled out connecting industry and strategy. Chamber welcomes Council’s Tourism and Events Unit intent to develop a new Events Strategy. 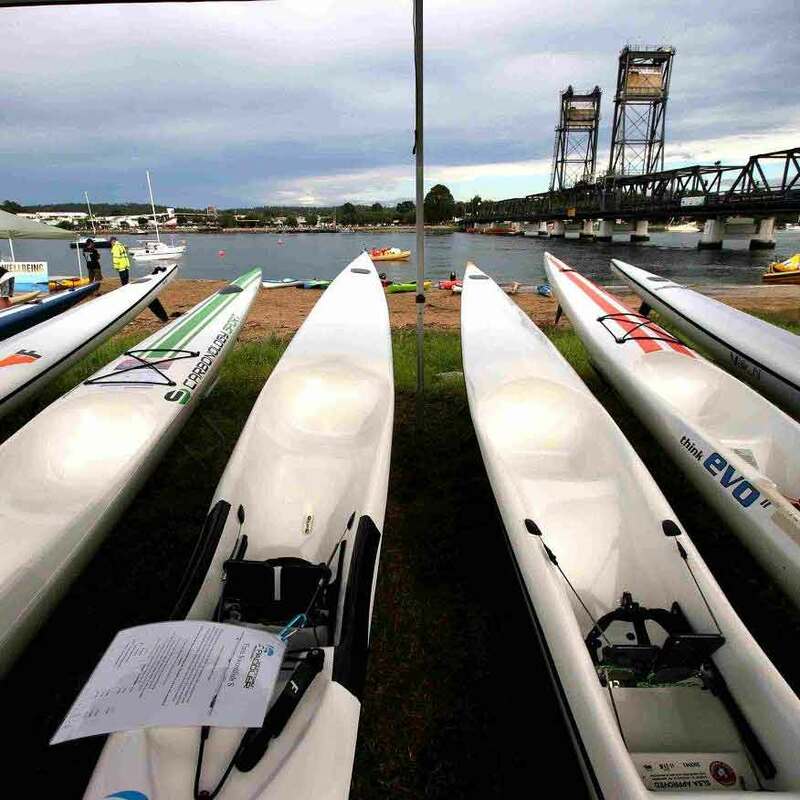 The Chamber has worked with Council on Batemans Bay Paddle Challenge, Sculpture on Clyde and Seaside Carnivale. Chamber acknowledges issues with Council over the Sculpture on Clyde event with a continuation towards resolution. There is a recognised need to fund events to a sufficient professional standard to avoid volunteer fatigue and other issues. Chamber has advocated for a strategy which addresses control over dates, funding and professionalism as well as a focus on longer term legacy events in the off season. Discussion at monthly meetings and correspondence has spotlighted this issue. While sea level rise models and longer-term predictions have met differing views within the Chamber, there is recognized need for a supported and workable ESC policy. Member concerns include development consents in vulnerable areas with caveats rendering future use uneconomical to devaluation in property value. One question raised is: Will people only learn of impact on their property if a development application is submitted? No doubt vision strategy and ESC infrastructure planned for the CBD and Village areas will also be impacted. One example presented to Chamber was a tourism development having a caveat placed on it rendering it uneconomical to develop. eg If certain tidal events occur in any calendar year the development is to be removed. Recently, Chamber members attended a Council workshop on the subject, though Chamber needs to be better informed before commenting. Council will be asked to present Coastal Management Policy developments to Chamber. The continuing upgrades to the airport by ESC are welcomed and no doubt appreciated by commuters. It would be timely to review and re-engage with ESC at the completion of the current works. Chamber and ESC have begun discussions with Marine Parks on the possibility of establishing an Underwater Sculpture Park. Initial talks are positive and continuing. This project is planned to bring boating enthusiasts, inclusive boating and seaplanes to the heart of the Batemans Bay CBD. The Chamber wishes to have two pontoons located in the Clyde River on the southern shoreline. RMS has agreed in principle to the concept at the T wharf and we continue to advocate thanks to Charles Stuart for the other location. As a precedent, RMS is considering total funding and on-going maintenance (a first for them) of the project. ESC via the Rural Producers Advisory Committee have had discussions with University experts. Thank you to Roger Gribble for his presentation to Chamber. This is an ongoing project. New paths and roads by ESC are welcomed. Chamber looks forward to the completion of the Spine Road and continues to work for a shared and linked pathway around the bay. The Chambers push for an inclusive tourism precinct has been assisted by Charles Stuart from The Bay Push Inc .. The Bay Push Inc. led the way with the Inclusive playground at Corrigan’s reserve and proposes that available Crown Land at Corrigan’s reserve be utilized for the construction of Inclusive tourism attractions. The wider precinct concept integrates well with substantial existing inclusive infrastructure. Chamber looks forward to further provision of assistance when the Vision or Place Making strategy commences for Batemans Bay CBD. Coastal Management Policy and Bridge Construction could well play a part in lengthening the process. Chamber has advocated and addressed fundamental economic and social issues to further a better place to do business, live and invest. The purpose of the Chamber is to provide a networking and advocacy opportunity for members and to collaborate and challenge with each level of government for better business and community outcomes. Some issues we have had success and some not, either way our existence is important. The Chamber Executive and member support has been paramount over the past year. I would like to thank all for your effort. I would also like to thank the many presenters who volunteered their time, and to friends and associates of the Chamber who have enabled events, submissions and advocacy work for the Chamber. As volunteers we have achieved much. The Chamber continues to grow and influence, primarily through word-of-mouth. For myself it has been a privilege to serve as Chamber President. I look forward to another year, after which the Chamber will support a new President. To reignite the event, Sculpture on Clyde will host outdoor sculptures at world class venue Willinga Park, the indoor sculptures will be hosted at the Clyde St. heritage venue used last year. The winners of the Schools Mathematical Sculpture competition will be concurrently displayed in shop fronts in the form of a Sculpture Walk through Batemans Bay CBD. Following supportive discussions with Eurobodalla Shire Council we await confirmation on additional public sites for the permanent display of the Acquisitive prize, which in turn increases the scope of potential entrants and art. Willinga Park has been integral in assisting this years event. The world class equestrian centre has international award winning architecture, internationally recognised Sculptures and an unsurpassed garden which will be utilised for our event. All the key ingredients for a true destination event. As the Willinga Park area does not have Hotel or Food and Beverage options which Batemans Bay does, we will be integrating our marketing with Batemans Bay business and capitalising on the importance of the Canberra tourist route. 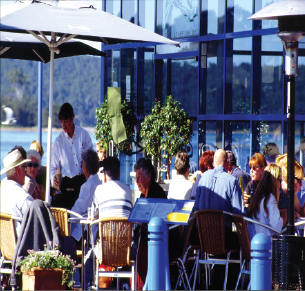 This is a real opportunity for Batemans Bay to tap into a world class destination venue. “The changes will also allow the event to expand quickly as a true destination event bringing in domestic and international tourists, all to the benefit of local businesses and local resident, with a resultant legacy of a world class sculpture walk”. The $60,000 total prize money which was entirely raised by Batemans Bay locals is still on offer. The money saved from working with Willinga Park will go to an additional sculpture acquisition for the Sculpture on Clyde Sculpture Walk. The committee is also engaged with founding a local sculpture residency award and will shortly be in talks involving local artists for an underwater sculpture garden. The two event venues will be linked by a bus shuttle service on the weekend. “We are happy with continued support from Destination NSW, Eurobodalla Shire Council, State Member for Bega Minister Andrew Constance and Ann Sudmalis MP, Federal Member for Gilmore”, David Maclachlan said. It’s a win for everyone and the Sculpture on Clyde committee is already busy with arrangements to make it happen. Entries close July 30 so artists are urged to continue sculpting their works so we can all enjoy them from August 25 until September 2. The Eurobodalla Business Awards is a shire wide awards program that aligns with the NSW Business Awards through the NSW Business Chamber. Follow the link to enter the Eurobodalla Business Awards. This will take you to the Eurobodalla Business Awards website and the online entry portal. Please note that the entry period is from Monday 2 July 2018 to Friday 3 August 2018. Find out what your Chamber has been involved in this month. Forwarded a supplementary submission to the NSW Ports Strategy regarding integration of water and town centre activities in Batemans Bay. A new vision for batemans Bay has been released by the Chamber. We invite members to make comment in the members area. We invite the community to comment in the community area. A new vision for batemans Bay has been released by the Chamber. We invite members to make comment in the members area. We invite the community to comment in the community area.